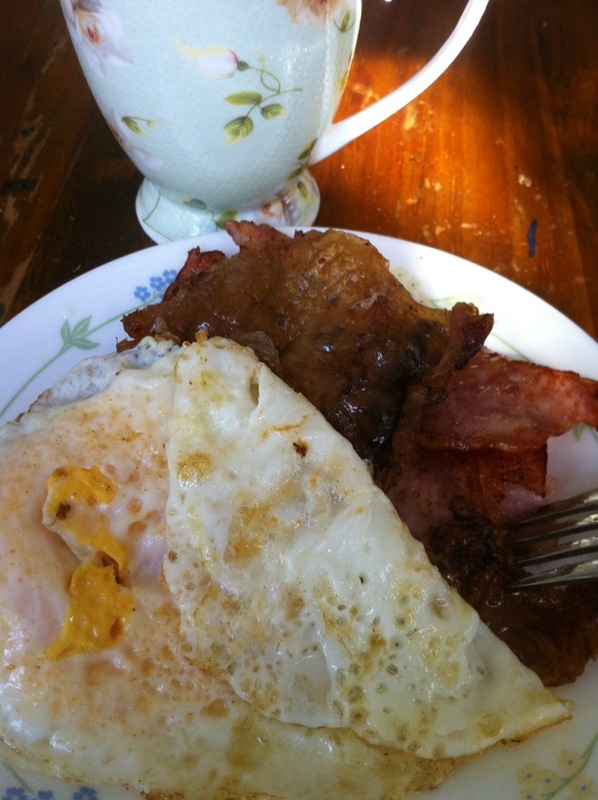 Bacon and eggs fried with leftover turkey skin from the organic bird I cooked two days ago. OMG GOOD!! This entry was posted in Blogging, Dukan Diet, Gluten Free Eating, Healthy Eating, Paleo Diet, Weight Loss and tagged Bacon, Dukan, low carb, paleo, turkey by flamidwyfe. Bookmark the permalink. My mouth is watering Sandy! That looks & souds amazing! Putting in my list of things to try soon! Katie – it was amazing! I put a little coconut oil in the pan after taking the bacon out and then laid the skin side down and turned the heat up for one minute. Crispy and oh so good! Every year at Thanksgiving we go to my brother and sister in law’s. Steve is the most amazing cook. He usually does two small turkeys on the grill, he brines it then has a special rub…the only time I eat the skin…oh and it is so good!!!!! Oh by the way your new picture at the top is awesome!!!!! Love those grandkids!!! DEEEE LISH! Love my Kingbird Farm bacon 🙂 Glad you are having a grand old time there Sandi. Loving it! I never thought to repurpose turkey skin. Did it again this morning, fried it up in butter, oh my! !